“vintage-inspired Nike Tennis Classic, Cristiano’s favorite sneaker, complete the summer range”. So in absence of further details, I’ll speculate. 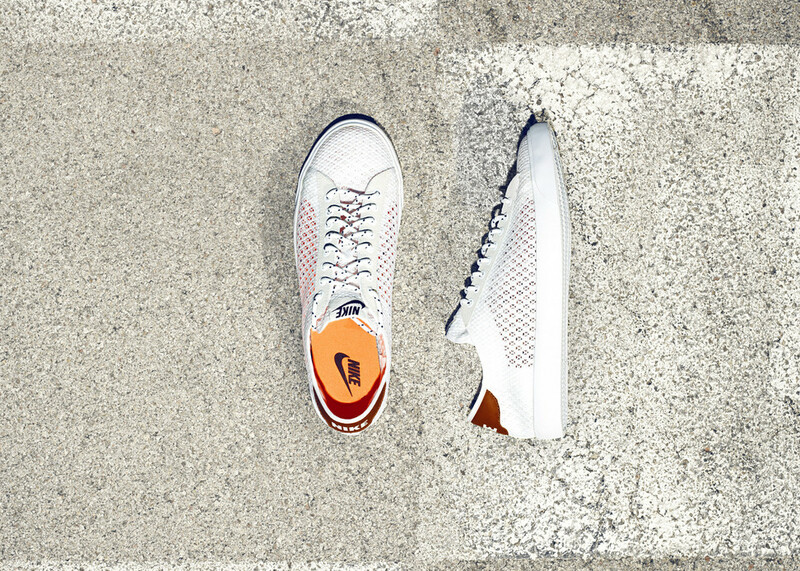 the casual shoes look like they feature a perforated all-white leather upper on top of an all-white vulcanized rubber outsole. The only splash of color comes from a burnt orange accent on the heal that adds a touch of vintage class. And while they’d be cool to sport both with a pair of jeans or when wearing shorts, I’m almost certain one should never be caught wearing socks in them… just my 2 cents at least. You’ll be able to pick up a pair of your own on May 11.